Local NGO Centre for Refugees presents a powerful photo exhibition, Under Our Shelter, at Lan Kwai Fong’s Loft 22 on Oct 19. The exhibition delves into the history of Hong Kong in relation to refugees and offers an intimate look into the daily lives of those seeking refuge in our city. It showcases photographs that date back to the 1950s and collections by photographer Alexander Treves and an unnamed Somali photojournalist who found refuge in Hong Kong. As well as never-before-seen images, this unqiue exhibition provides a rare glimpse into an often ignored sector of Hong Kong society. We speak to Centre for Refugees supporter and local advocate Vijay Harilela about their ongoing mission to support refugees in the SAR and some highlights from the exhibition. How did you come to be involved with Centre for Refugees? Refugees have received much publicity after unjust suggestions were made by some media and lawmakers on the supposed 'fake refugees' – those who were said to be taking advantage of Hong Kong’s generosity. The hysteria surrounding these so-called 'fake' refugees implied that all refugees and asylum seekers were illegitimate. Knowing that historically Hong Kong has been a haven for refugees, I started to enquire into whether there was any basis for this labelling. Christian Action’s Centre for Refugees voiced out support for this community to debunk stereotypes around 'fake refugees' and it caught my attention. When I approached the Centre, I had a much better and clearer understanding of the issues. The Centre’s cause is a truly worthy one and in my opinion much closer to the truth. What is the role of the Centre for Refugees? It is the first and only community centre for the current wave of refugees and asylum seekers in Hong Kong. The Centre was established in Chungking Mansions in 2004 by Christian Action, it provides a comprehensive programme of care, development and empowerment for refugees in Hong Kong, helping them live with dignity and providing hope for their future. 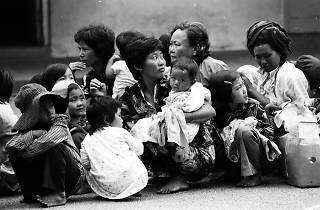 Tell us about the history of refugees in Hong Kong and how the social issue has evolved over the years since the 1950s. Hong Kong has a rich history as a place of refuge. It was a haven for Russians who arrived in the 1940s and 50s, for Mainland Chinese fleeing the Cultural Revolution, for the Vietnamese escaping conflict in the 1970s and we are now seeing a current inflow of asylum seekers from Africa, South Asia and the Middle East fleeing truly horrible situations such as political unrest, ethnic cleansing and racial persecution. What are the most recent estimated number of refugees currently in Hong Kong? According to the Centre for Refugees, there are currently about 11,000 claimants in Hong Kong seeking protection, with only 150 of them being recognized refugees by UNHCR-HK. Since 2014, the HK Immigration Department, due a court judgment, had to process all claims and initiated a new system known as Unified Screening Mechanism. As of right now, 103 claimants have been granted temporary protection. Most of these successful claimants are from Sri Lanka, Rwanda, Burundi, Yemen and Congo. Has there been an increase of apathy in Hong Kong society and what is needed to get more people aware and involved? Unfortunately, there is much apathy in Hong Kong. This is unsurprising given that Hong Kong’s cost of living and housing expenses take much of the interest from society. But the city is also a caring society and people here tend to be generous if they find a cause worthy of their attention. We need to publicise the plight of the refugees in a positive light as we are presently doing with this exhibition. We should also do our best to dispel all the false claims circulated by some media and counter these negative stereotypes with some good news stories about the genuine claimants. 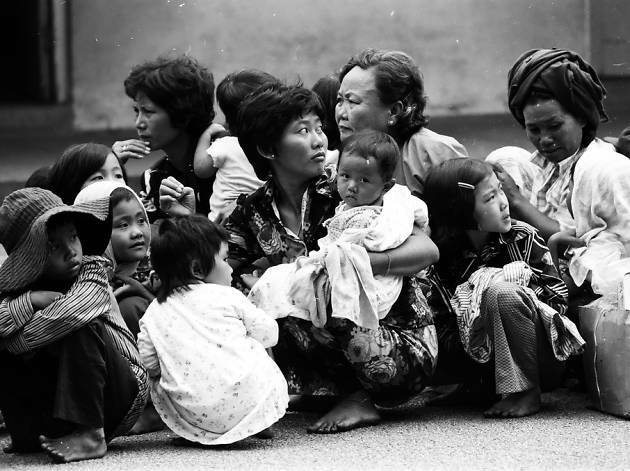 The more knowledgeable we are of our history and the positive impact refugees have had in Hong Kong, the further we can move away from these stereotypes as well. The Hong Kong government can also take the initiative by granting claimants reasonable living needs such as permitting them to seek employment whilst their claims are processed. What makes activist art a valuable tool? enlighten and raise awareness on refugee issues. The exhibition is uniquely staged in two different venues. Why split it into two places? The aim is to have a rolling exhibition in both HK Island and Kowloon to ensure that the community does not miss this once-in-a-lifetime event and to spread awareness about the city’s refugee community around different districts of Hong Kong. What do you hope people can gain from this exhibition? My hope is that the audience come away from the exhibition with knowledge and compassion. Not much has been written about Hong Kong’s remarkable modern history as a place of refuge for people forced to flee their homes, so this exhibition can be a great opportunity for people to learn more about this community. By learning more about Hong Kong’s history with refugees and seeing success stories, we – the audience, by-passers, and Hongkongers alike – can start to combat negative stereotypes that often surround conversations involving refugees, who are forced to flee their homes in order to create better lives with dignity and hope for the future.